to this branch of the Moorish Holy Temple of Science, at …………………………… in the County of …………………………… and State of …………………………… to be styled and known as …………………………… No. …………………………… invested with all the powers and privileges of a Subordinate Temple within the jurisdiction of the said Home Office. Jurisdiction aforesaid by virtue of whose authority it exists, while acting in conformity with the laws, rules and regulations of the Home Temple and the said subordinate Temple aforesaid, being duly and lawfully organized, constituted and established, is hereby authorized and empowered to initiate and confer the degrees of said Temple in accordance with the established forms and usages upon all such persons as are duly and lawfully qualified. To promote and practice the teachings of all the true and divine prophets: Jesus, Mohammed, Buddha, Confucius, Etc. 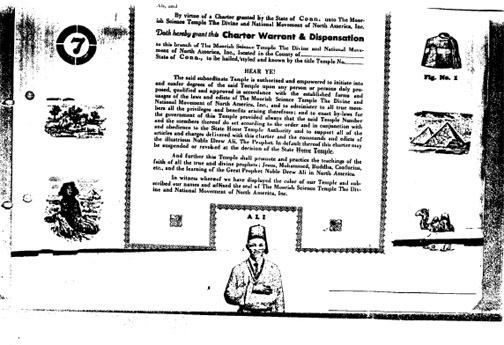 The officers and members who benefit under this charter, do hereby pledge themselves to act at all times in obedience to the commands and edicts of the illustrious Noble Drew Ali, the founder and head of the Moorish Holy Temple of Science, Inc. The Home office can at any time suspend, revoke or take away this Charter or Warrant of Authority if in the judgement of our Grand Ruler and Prophet Noble Drew Ali, said subordinate Temple has violated any of the principles or rules of the Moorish Holy Temple of Science, Inc. 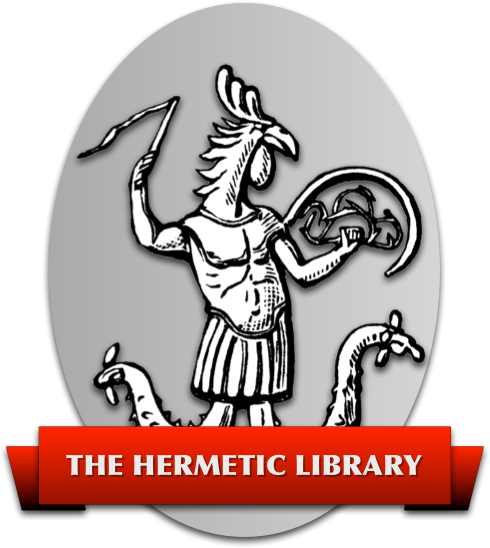 In Testimony Whereof I have hereunto subscribed my name and affixed the Seal of the said Moorish Holy Temple of Science, Inc. This day of A.D. 19__ at Chicago, Illinois, County of Cook, State of Illinois, U.S.A.